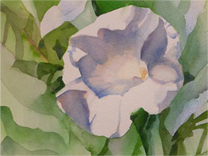 In April 2015, Hycroft Manor, home of the University Women's Club in Vancouver, hosted a show of Linda Kalman's recent watercolours. 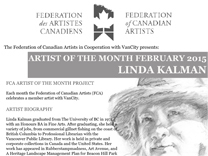 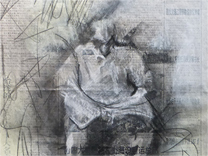 In January 2015 Linda Kalman received the First Place Award from the Federation of Canadian Artists for ‘Reader's Choice’ in the Works on Paper Show. 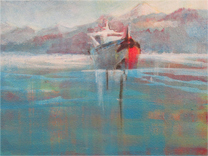 In November 2012, Linda Kalman received the Award of Excellence for her painting, ‘Cold Drift’, which appeared in the Small, Smaller, Smallest show.